Are you in the construction business and responsible for managing large construction projects? Well if you are then your job most likely entails clearing out and removing large amounts of waste from construction sites. 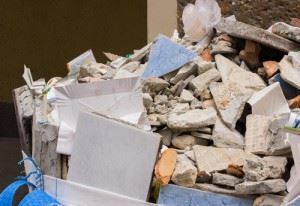 Additionally since the improper disposal of construction waste can pose serious threats to health and the environment it is strictly recommended that a professional construction waste removalist be contracted to appropriately remove construction waste in a safe and efficient manner. The majority of waste accumulated on construction sites usually includes broken glass, concrete, building materials, soil, broken bricks etc. Not only do these items require time and effort to be removed but they can be extremely dangerous if handled incorrectly. Hazardous materials that can cause health or environmental issues or injury may also be present in construction waste hence why it is strictly recommended that persons hire a professional construction waste removalist to assist them in this regard. A construction waste removalist company possess all the necessary equipment and trained personnel to manage and dispose construction waste safely and efficiently. This way contractors can avoid resorting to illegal disposal practices and eliminate the threat of injury and other health concerns on construction sites. Professional construction waste removalists not only collect construction waste from sites but they also include the transport and processing of waste before disposal. Essentially this is done to encourage safe disposal practices, to avoid contamination ,pollution or any major health issues and to eliminate the inconvenience of the additional cost related to waste disposal. Construction site operators can also expect clear, well maintained and properly running construction sites ready for use and won’t have to worry about stalled projects because of accumulated waste or safety concerns . At Junk King we specialize in the removal of all types of waste including construction waste. We also transport and process your waste with no additional or hidden fees. People can benefit from our top rated services with little or no hassle and whether construction sites are big or small our services serve to facilitate safe, efficient and professional construction waste removal whether commercial or residential. For a bit more convenience people can also opt to use our MINI dumpster rental services. Drop off and pick up of dumpsters is prompt and you only pay for the space you use up. So to keep construction sites safe and maintained by giving the #1 construction waste removalist a call at: 1-888-888-JUNK or you can visit our website at www.junk-king.com for more information or to book online. This entry was posted in Uncategorized and tagged junk hauling, junk hauling sonoma, Junk King Sonoma on September 12, 2017 by Julian Torres, "JT". Last updated September 21, 2017 .